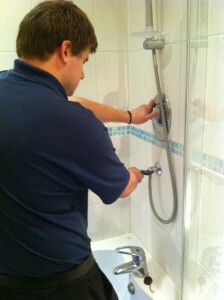 Looking for a reliable plumber? Your search stops here with ADI! We take how well trained each of our plumbers are very seriously and a part of our commitment to that is our ongoing training program which ensures that our plumbing teams can deal with problems on every scale from your general domestic and residential plumbing issues right up to the larger-scale industrial and commercial calls that we deal with on a regular basis. So if you’re just dealing with a leaking tap, a burst pipe or a major business water leak incident we’re more than capable of taking care of those problems for you and always with the utmost level of courtesy shown to each of our customers. If you have a plumbing problem and you’re not sure whether or not we can help the best thing to do is go ahead and call us. We have a freephone number – 0800 731 3848 – and our team of friendly and professional engineers are waiting to speak to you now.